FSANZ, Consumer and Public Health Dialogue, 27 March 2019, Canberra. I’ve now provided a report of my presentation and the discussion that ensured. 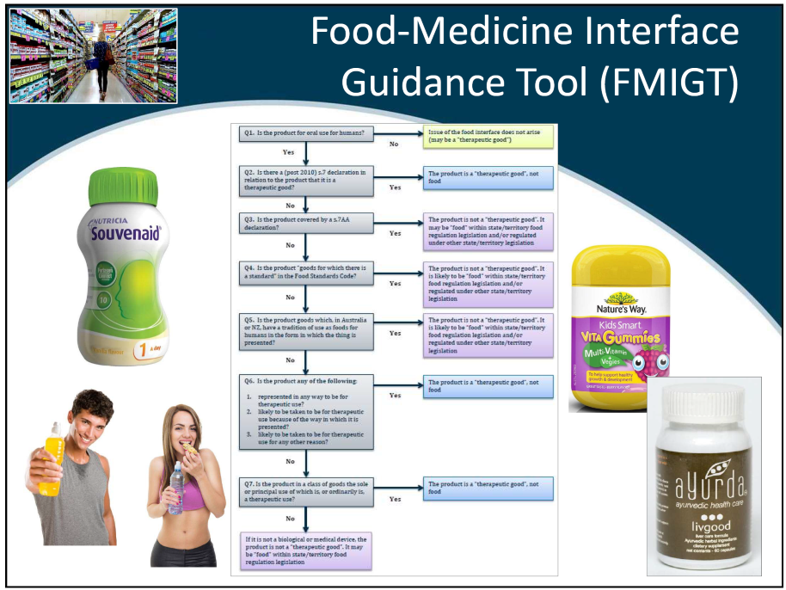 The regulation of health claims for foods and complementary medicines is inconsistent; complaint systems are problematic, no effective penalties are applied for documented breaches of the law, and shonky (and dangerous products) are proliferating. The consequence is consumer detriment. There needs to be one ethical Code governing the advertising of health claims for food, medicines and medical devices and one timely, effective and accountable complaint system, with penalties that deter the profit that currently accrues from breaking the law. I suggested that the ACCC should invite FSANZ to join the Consumers Health Regulators Group and the topic of consistent and effective regulation of health claims should be a high priority agenda item for this group. In submissions to the Senate Community Affairs Legislation Committee on the Therapeutic Goods Amendment (2017 Measures No. 1) Bill 2017, the Public Health Association of Australia, Choice and Friends of Science in Medicine suggested expanding the Therapeutic Goods Advertising Code to a Therapeutic Claims Advertising Code so complaints could be dealt with by one authority. In response, a submission from the Department of Health stated that it was beyond the scope of the Therapeutic Goods Act, and potentially the Commonwealth’s constitutional powers for the TGA, to manage complaints related to foods that make health claims. Another suggestion was for the Australian Competition and Consumer Commission (ACCC) to act using s.18 of the Competition and Consumer Act 2010 which prohibits misleading and deceptive conduct. The ACCC responded: “While this is ultimately a matter for government, the ACCC is not in a position to step in where another regulator has resource constraints or makes a different assessment of priorities given our broad consumer and competition remit”. We agree with the ACCC. The problems documented above should be a matter for the new government that will be formed after the 18 May 2019 election. We suggest the new government asks the Australian National Audit Office (ANAO) to revisit their 2011 audit of the TGA, add FSANZ to the terms of reference, and focus the audit on ensuring ethical health claims are made in both food and medicines. This entry was posted in Advertising, Complementary medicine, Food, Medical Devices, Medicine policy, Pharmaceutical Promotion and tagged ACCC, ANAO, FSANZ, TGA. Bookmark the permalink.